C Salon SCV can be contacted through their website, https://csalonscv.com/ or by phone at 661-257-7060, or stop by our salon at 29439 The Old Road, Castaic, CA 91384. 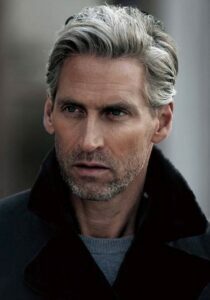 Have you ever wondered about graying hair? Well believe it or not, you do have some control to make sure that you don’t go gray sooner. 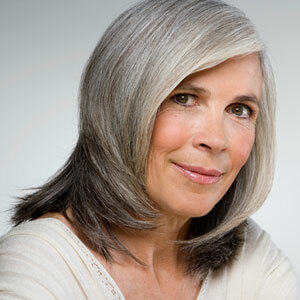 There are many factors that contribute to premature gray hair. Genetics will always play a major factor in what goes on with your body. But other factors that affect graying hair is ultra-violet light exposure, nutritional deficiencies like Vitamin D3 and Vitamin B-12. Problems with your pituitary or thyroid gland, which can be corrected. Smoking can also lead to premature loss of pigment in your hair as well. Premature gray is when you start graying by your 20s and 30s. For Caucasians they start getting gray hair in their mid-30s, Asians in their late 30s and African-Americans in their mid-40s. Gray hair can start to show by the age of 54 but the average can vary by genetics and different nationalities. Incorporating foods rich in Vitamin B and D3 may help you avoid premature gray hairs. But if your hair is already graying, don’t fret. More young mothers, professionals and models are embracing the gray. Many teenagers are now getting their hair dyed gray and having it become the new trend. But if you aren’t one that chooses to embrace the gray, you can always come into C Salon and get highlights or color blending which helps disguise the gray. Color blending is a service that can make one look 5-7 years younger and has become very popular with the male client of today. It looks very natural and it’s the perfect color service to transition a person that wants to start letting the gray show through.